The National Farm bill is still in limbo. The Senate has passed their version of the Farm Bill. The House Agricultural Committee had passed a version of the bill and waited for it to be brought out onto the house floor for action. When the bill was presented the House Republican leaders were totally surprised when the bill failed. All of the Connecticut House members voted against the bill. I should note that Congressman Courtney from the 2nd district was one of the members on the House Agricultural Committee who had passed the bill out of committee. Apparently something changed in the Farm Bill enough that he felt the need to vote against it. On a dollar basis, the Farm Bill is about 20 percent farm related with the other 80 percent concerning the Nutrition Title. This includes the funding for WIC, Supplemental Nutrition Assistant Program (SNAP or more commonly known as food stamps) and school lunch programs. The House version of the bill included major cuts in this area of the bill. Reacting to this failure in passing a Farm Bill the House decided to divide the bill into two portions. The Farm related section is now separate from the Nutrition section. The House then passed the Farm related section of the bill. 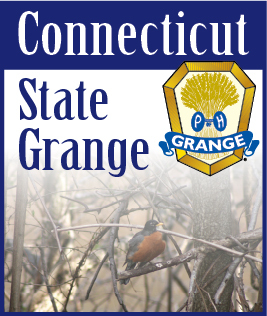 The National Grange issued a statement that while they were happy with the passage of this bill they have mixed feelings about it. Now the House and Senate versions of the Farm bills will have to go to a joint House and Senate committee to work out a compromised bill. National Grange is concerned that the Senate side will not be very receptive to this bill that is without the Nutritional section. We also need to note that the House and Senate will be taking a summer vacation in August. They will also still have to take up the sections of the Nutritional section of the bill. An extension of the previous Farm bill was passed a few months ago which extended it until September. Unless something final is passed before September, another extension will be needed.